At RRD Creative, digital animation and motion graphics in 2D and 3D is a growing part of our creative offering. Lesser used stop motion and hand-drawn animation is also a medium we wish to promote and offer our clients. For our Christmas card, we wanted to create a hand-crafted, nostalgic, stop motion animation piece to promote as part of our animation portfolio. 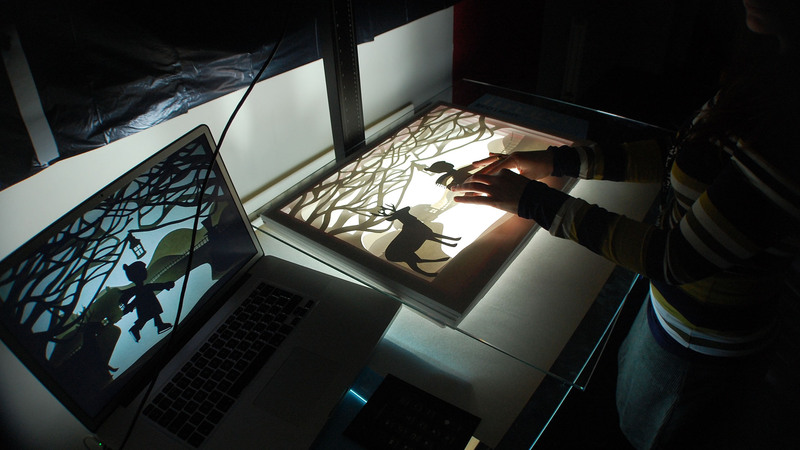 The inspiration came from Lotte Reiniger, a German film director and the foremost pioneer of silhouette animation. Important to the brief was to seamlessly promote it across analogue and digital media via a Shazam’d paper Christmas card. Using previous experience from her degree show stop motion puppet animation, our designer researched and built on this production knowledge. 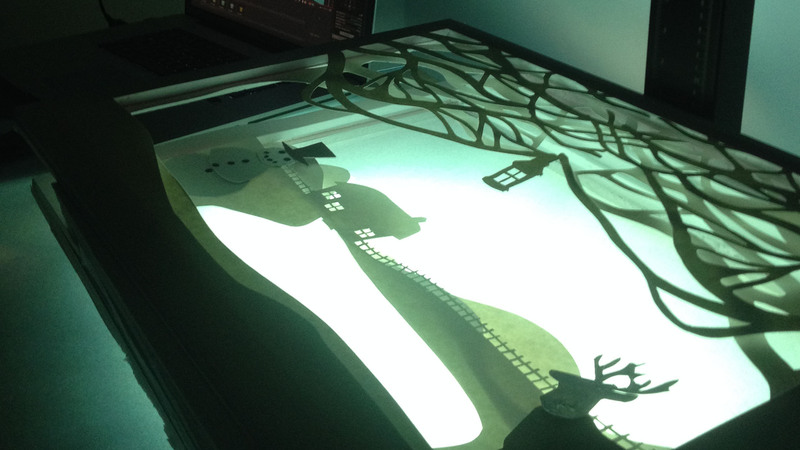 The rig was built using studio furniture and the animation scene was created using layers of foam card in between cut out card, back lit with an old wooden lightbox. Our SLR camera worked perfectly with the Dragon Frame stop motion software, and the animation only took two days to shoot and edit. It generated a lot of excitement among our team to see such an original, a hand crafted and resourceful approach. The result was a charming, emotive and authentic piece of hand crafted stop motion animation which was the core of our Christmas communication. A Christmas card version was Shazam’d and sent out to our clients, which lead to a seamless transition from paper to digital. For non-postal clients, we sent out the e-version. It generated a lot of interest from our current clients and future prospective clients. Our Christmas card animation demonstrated a conscious effort to reduce the use of non-renewable resources in a number of ways. Firstly the animation apparatus was built using items already in our office, such as chairs, tables and an old wooden lightbox. The only items purchased were two panes of glass. We shot it in a make-shift studio with black bags over the windows. The print run of the physical Christmas card was significantly reduced due to the online outreach.